Book Description: A mathematically derived study of the ancients and how they constructed boats and pyramids according to applied rules, with insights into calendar systems and a proposal for a new calendar based on 480 days. APPENDIX A: A First Century Genesis? What are the calendars and other units of measurements that were utilized in the writing of the book of Genesis? An attempt is made to bring order to chaotic aspects of the text through explaining 3D math, including a discussion of the geometry of 360 degree circles as understood by the Babylonians. One Hell of a Flood! 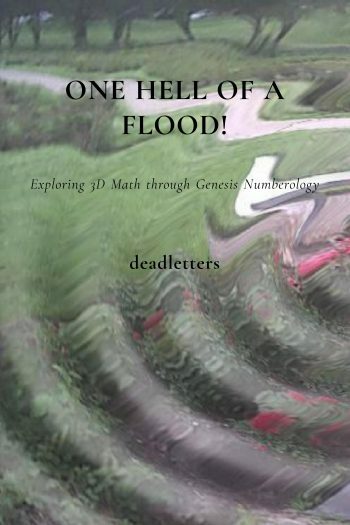 : Exploring 3D Math through Genesis Numberology Copyright © by deadletters. All Rights Reserved.